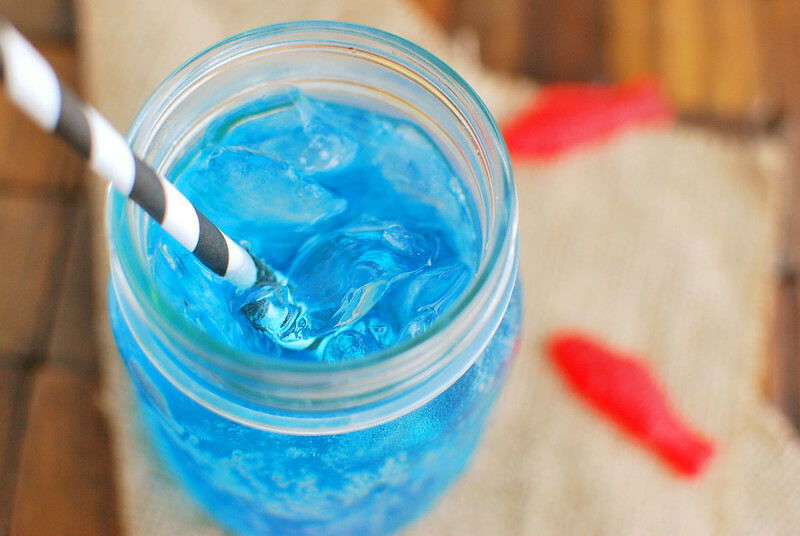 45 Responses to "Ocean Water (Sonic Copycat Recipe)"
OMG yes, you need to add some ‘bu to it! ha! Ahhhh I want it! And Swedish Fish are my son’s favorite candy. Loving this idea to make before school starts next week. Well, I feel a little better then. I figured I just didn’t live in a nice enough are to warrant the real thing. If the imitation is what you use, then it must be good enough. I know what’s going on my shopping list this week! Would you believe I’ve never been to Sonic?? We don’t have them up here. But luckily I don’t have to because now I can make my own Ocean Water at home! I’m so in love with the color, and anything coconut is good by me. Thank you, thank you, thank you! for sharing this. I’ve seen this every time I’ve gone to Sonic in the past few weeks and have been too afraid to try it. I’m so jazzed to try it at home! Has anyone tried this with lemonade? 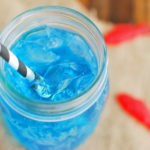 I think it would be good with lemonade also, but remember that you will get a green drink if you put blue food color in yellow lemonade. OMG!!!! I can’t wait to try this! I would drive an hour to the closest sonic just for ocean water! It is my fave!!!! Thank you, thank you, thank you for posting this!!!! This is so cute! Going to try it today! Just a FYI… Sonic uses blue coconut snow cone syrup. That’s a simple sugar blue flavored mix. A few squirts in a cup and and the soda… Boom! Easy peasy. You can pick up the syrup anywhere they sell snow cone supplies but I’ve see it at Walmart and Target. I made a similar copy cat ocean water for my daughters joint birthday party. I made a syrup using coconut water, sugar, coconut flavoring and blue food coloring. Then used 2 two liters of sprite in a large punch bowl. The coconut water helped to keep the drink refreshing instead of overly sugary. How did you get the fish to float in the drink? Hi, I love this idea. Do you think it could work with just food coloring and seltzer? Does the coconut extract and sugar add taste or something color wise? Sonics Ocean Water is blue coconut syrup (like the one used for sno cones) & sprite. How fun! I’ll be making this for sure! I am putting this Ocean Water on my summer-drinks list. I’m pretty sure the lil’ ones will be so excited! 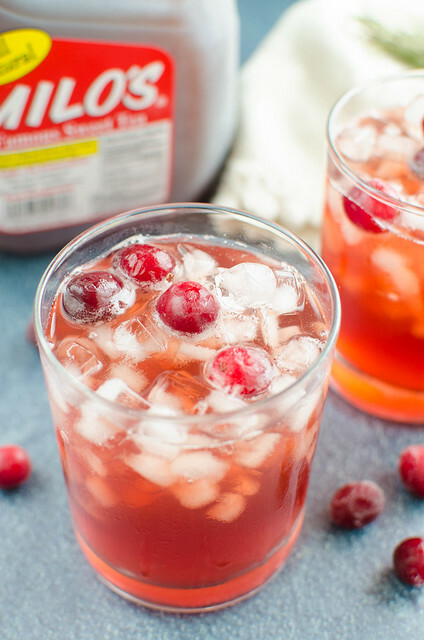 Diced strawberries would go great with this drink. Yummy, my hubby is going to love you ocean water. 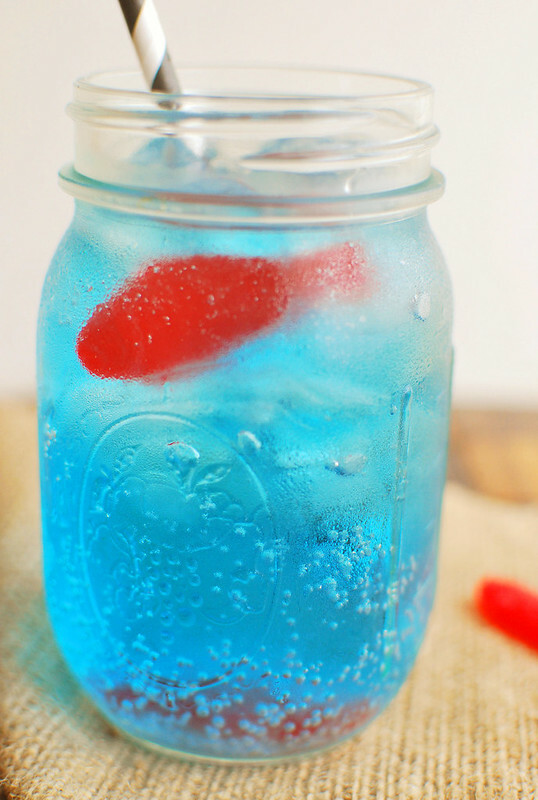 I made this tonight and it tastes just like Sonics ocean water. It is easy too make. You just need to quad dripple the recipe if making for a party. Awesome, so glad you enjoyed it! 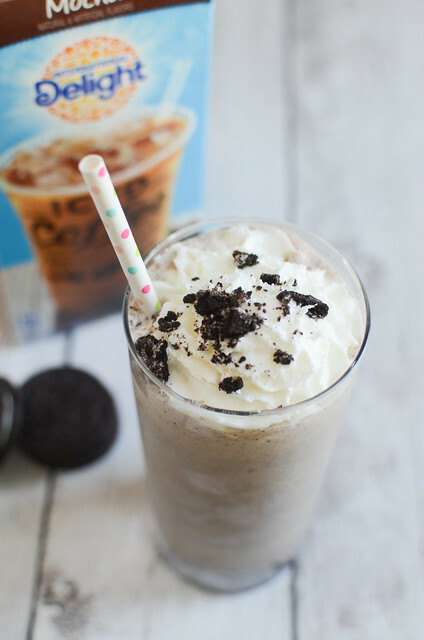 I’m totally craving it now! I love this idea! Going to make it for my little guests next week! Wondering – how about finding ice cube trays in the shape of fish, then adding orange food coloring to the water. Voila! Goldfish! IKEA had them…not sure if they still do. I absolutely LOVE Sonic’s ocean water, so I was very happy when i found this. I made a large batch for our Talk Like a Pirate Day at work. Although it ended up being a bit on the sweeter side. So in the Second batch I made I used 1 TBS of sugar 2 TBS of water and it was AMAZING! 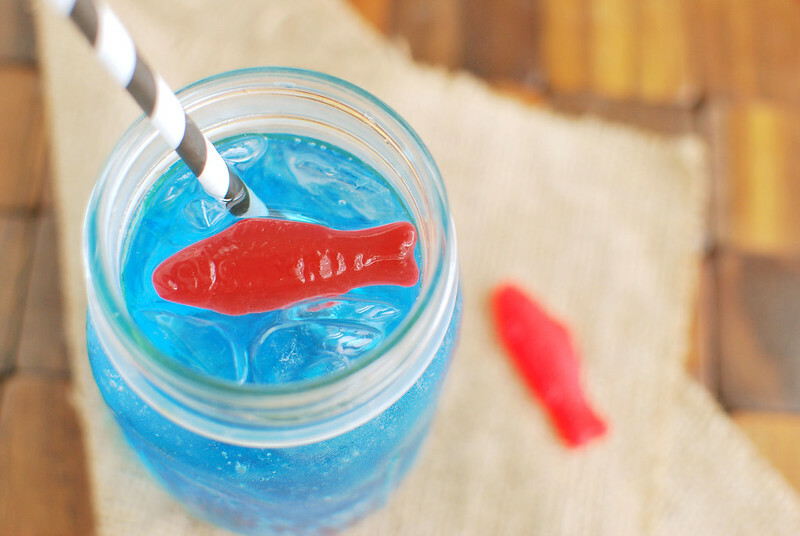 Perfect refreshing summer drink to toast the start of Shark Week — tomorrow! I recently featured it in my collection of kid-friendly ways to celebrate Shark Week on my blog. Please stop by to see at http://www.createdbyv.com/shark-week-with-kids. 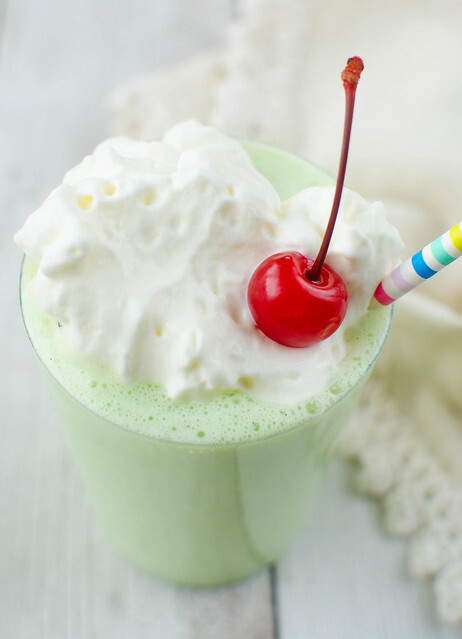 Thanks for sharing such an easy and delicious drink! My little siblings will love this! Thanks for the idea!